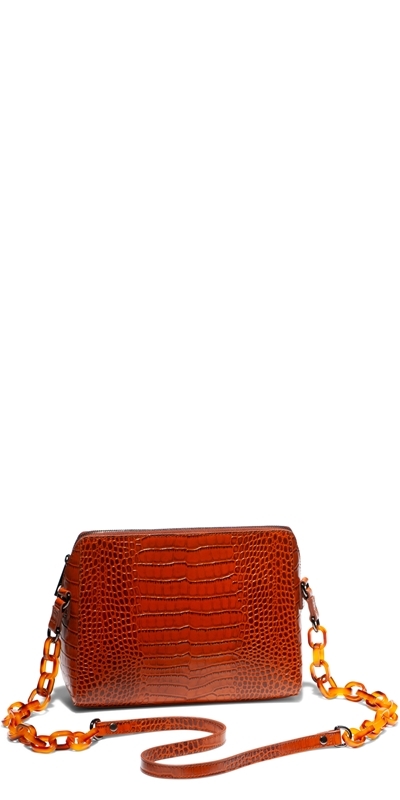 This cross-body bag features a tortoise chain strap with a leather shoulder and trapeze shaped body. 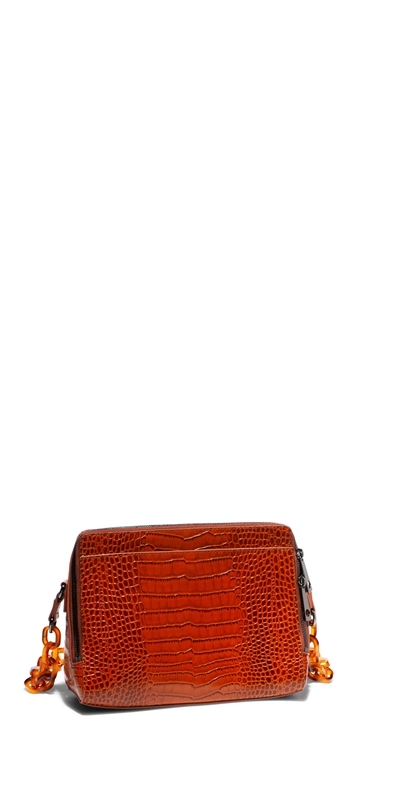 This two-compartment bag is fully lined with an inside pocket. Fastened with a metal zip.